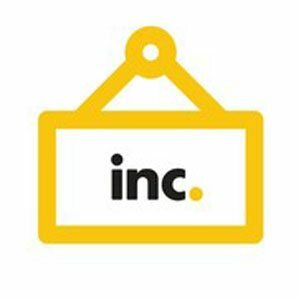 Incorporate.com is a company that helps form limited liability companies (LLCs) and other entity types required by small to large-scale business owners. They also offer upgrades for C, S, and nonprofit organizations. We compiled Incorporate.com reviews from our website and around the web and found that it has a mix of positive and negative ratings. We also shared the subscription options available. Want to know the top online legal services for small business? Read our Incorporate.com alternatives guide. Most of the positive reviews we see consist of successful transactions and resolution of complaints. Incorporate.com seems to perform well for customers who order LLC transactions. Some clients see the company as reasonably priced as well. Those who had successful transactions said that they received their LLC kits within a week. Clients consistently complain about the quality of their customer service representatives. According to some reviewers, they view the problem as not being able to communicate with Incorporate.com’s management team. Aside from that, clients are being charged for registered agents without any warning, thereby adding an additional $235 worth of fees that they did not approve. Incorporate.com has three pricing options. The most affordable one is their $99 Starter Plan, but the state fees are excluded, amounting to up to $356 or more depending on the client’s location. Their most expensive plan is called The Works, which is worth $699, exclusive of state fees. In the chart above, we compared a few of the most important features among the three plans that Incorporate.com offers. All three plans offer completion and filing of documents, a $50,000 Corporate Veil Guarantee, as well as access to online tools. The two higher tiered plans have added services, such as LLC Operating Agreements, an online guidebook, and business coaching. Incorporate.com does mention the Registered Agent Service on a separate page in their website, but it does not include any mention of it in the initial pricing pages. Reviews mentioned that Incorporate.com charges an extra $235 for an agent. Check out the list below of some of Incorporate.com’s features. No residency requirement. Those who are applying for an LLC need not be U.S. citizens or permanent residents. Legal protection. Creating an LLC means gives you limited liability for business debts and obligations. Best Online Legal Services Software — Read our buyer’s guide for a comparison of the top online legal services for small businesses. We compare Rocket Lawyer vs. LegalZoom vs. Docracy to give you an idea of which online legal service will work best for your business needs. What Is An LLC & How Do You Form One? – If you are interested in forming an LLC, look at our guide and find out how you can form one. Best Business Structure: LLC vs S Corp vs C Corp & More – Are you wondering which business structure is ideal for you? Find out the difference between an LLC, S Corp, C Corp and other business structures. This video shows why you should incorporate your business and how Incorporate.com can help. Not sure if Incorporate.com is the right fit for you? Read our online legal services comparison guide. Take your money they are terrible avoid at all cost. When I sign in with them I am suppose to pay $316 than I discovered I was charged for an extra 235 .Bad for business so I decided to cancel their service. They said they refunded me but I never got my refund. I am still waiting for my money back. They are a scam and they take your money and charge you for service without your notice.They assume you do not pay attention to your expenses . they helped me start my business with all the filings. after a couple of years i was able to cancel them and told them on the next period i wont be using them anymore and i keep getting bills for over $200 and they wont stop. i havent used them in over 2 years and they are saying they are sending my $200 they say i owe to collections. If you use them get ready to be part of their life forever. cant shake them off. i wish i hadnt used them and hired someone locally on a one payment process. Incorporate.com helped with filing as an LLC. after completion they made a strong sell to be my registered agent. After one year of providing this service I realized they weren’t providing any service at all. When I attempted to cancel my service they threatened to send me to collection agency. Created a company with them who then lost my EIN for two months. I over looked this and figured it was just an oversight. The following year I found out my company was terminated due to an incomplete annual report. This was after I sent it in with the cost to the state, and later confirmed with my account manager that my company was in good standing for the current year. My report was rejected by the state and it was sent back to my registered agent but never relayed to me. I am now paying them more money to reinstate my company. This will be the last time I do business with this company. Incorporating is fairly easy, Getting these leeches out of your life with their over priced “Filing Service”, not so easy.